Those who wish to take career breaks or have a year out in between studies to explore far-flung corners of the globe will embark on what is known as a gap year. Not just limited to students anymore, more of us head off seeking adventures every year, usually to backpack around locations such as South-East Asia, South America and Australia. A gap year can also be spent touring, especially if you like to drive. The long and winding highways of the United States are a popular destination for these kinds of trips. Volunteering is also a popular reason for taking a gap year, with organisations offering excursions all over the world to help with nature conservation and humanitarian matters such as constructing schools and digging wells. During a gap year, the world is your oyster. Now it’s a case of deciding where to dip your toes first, do you want to start in one part of the world and end up at another along the line, or just take your time exploring like a nomad? Research the countries you want to visit; and not just the tourist attractions either, take the time to familiarise yourself with the culture and traits of where you are going. Brush up on your languages; look into phrase books and smartphones apps that can help you to get along in your country of choice. Note down the locations of your country’s embassies in the country you are travelling to in case of an emergency for which you require assistance. 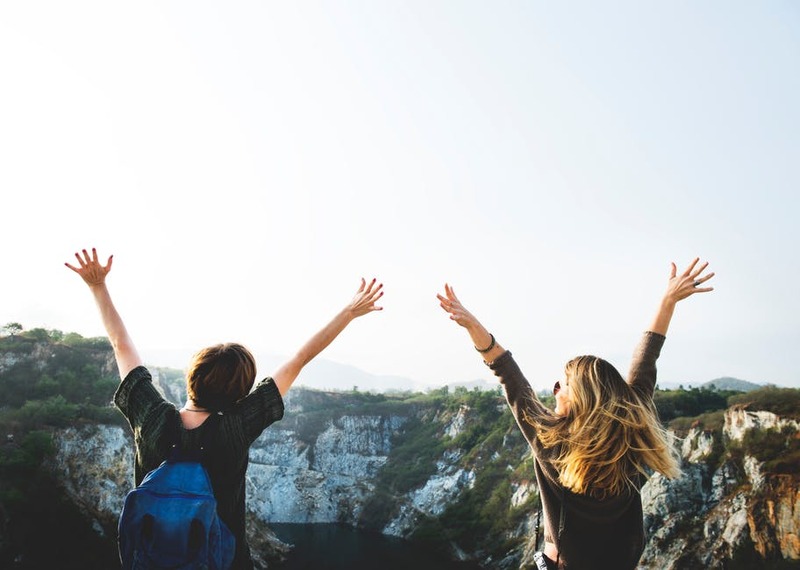 When preparing to take a gap year, it’s important to make yourself a checklist before you go, ensuring that you have all the correct documentation needed and enough money and clothes to see you through at least the beginning of your journey. Passport – the most important thing you should have during your trip – you can’t travel without it after all. Travel insurance – vital to have in case you fall ill or get injured during your journey. Talk to an insurer about a gap year travel insurance policy, which can help to provide cover for the duration of your trip. Bear in mind though that there may be some locations where insurers will either charge a little more or not cover you at all because of an increased risk, so pick your destinations carefully when planning your trip. Health cards (including EHIC cards) – if you’re travelling within Europe, a European Health Insurance Card can help should you fall ill as it entitles you to access to treatment in countries within the EU. It should be noted that an EHIC card is not a substitute for travel insurance, and should always be carried alongside a travel insurance policy to provide an extra level of protection. International Driving License – if you’re looking to drive during your trip, you must have a valid International Drivers’ Licence, which is recognised all over the world and can help with getting rental car access. Also, if you’re currently studying and have a National Union of Students (NUS) card, it can be worth taking this with you as a just-in-case. Some tourist attractions around the world may offer a discount for students, so it can be worth taking along and trying out! It’s best to be prepared for any situation when you go away, so packing a small medical pack before you travel is essential to your preparation for a backpacking trip. Medical kits are available to buy at airports, and it can be worth looking into buying supplies once you get to your destination. Ensure that you declare any prescription medication you’ll be taking with you on your trip, as well as the prescription itself, and be sure to identify where your local pharmacy is in your destination should you need a repeat prescription during your trip. Before you travel, book an appointment with your GP for a health check, and find out if you require any vaccinations for the countries you wish to visit. Diseases such as malaria, hepatitis or glandular fever usually will have an inoculation before you travel or a course of medication during your trip. Find out as well if you require any medication as a result, including anti-malaria tablets, and be sure to stock up before you go. Take a wash bag with you with a variety of items to keep you clean during your trip – including a toothbrush, hairbrush and wet wipes among others. Because airlines only allow a certain amount of liquids on your person during a flight, it can be worth seeing if you’d be better off buying items such as soap, toothpaste, shampoo and shaving cream once you get to your destination. Budgeting is essential when it comes to a worldwide trip; you don’t want to fall short and be stranded far from home with no means of paying for a way to get home. So what options do you have when it comes to making sure you can afford things? Financial preparation is an essential part of a gap year experience, from saving for the flight to getting jobs during the trip to pay for food, lodging and your plane ticket home. If you’re saving for a trip, think about taking out a separate savings account to drop a little of each wage packet each month, you’d know then that you can accumulate a good amount to travel with. When it comes to buying flights, shop around, and be sure to research gap year companies who may offer your flight out to your starting destination as part of the price of their package. Pre-paid credit cards allow you to load up a card with a certain amount of money, which essentially becomes your holiday budget. Using a pre-paid card saves you the need to carry a large amount of currency on you at any one time, reducing your risk from thieves who might steal your wallet during your trip. However, depending on where you are going, you might be crossing several countries during your travels. It can be worth taking an amount of each countries’ currency as loose money, especially for buying items such as food and clothing as not all places accept a contactless card. When you’re starting out on a trip, “less is more” can be a good philosophy to stick to, depending on where you’re going. You can always buy more clothes while you’re there of course, but be sure to take enough for at least your first few weeks, or until you locate the nearest laundrette.